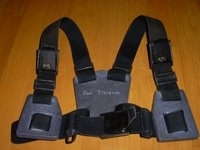 Freediving weight harnesses are designed for freedivers who want to hone in their skills as a freediver. This weight system will do 3 things to improve your skill. 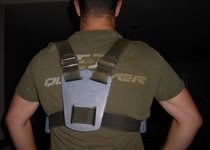 With the weights on your back you will be more comfortable with a 3 strap system to hold the harness onto you. This will allow for more comfortable breath holding. Since the position of the weight will be farther forward your pivot point upon descent will be sooner as the weights will help to start your dive. This means that you can dive with less weight!!! 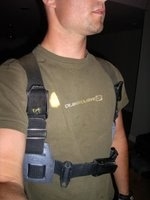 The 3 strap system also means that you have less chances of loosing your weights when you are diving. 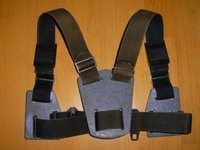 We can make Harnesses from 10 pounds to 22 pounds.